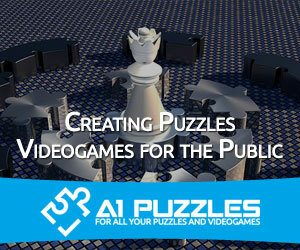 A1 Puzzles is a gaming business that has the task of making the most intriguing and fun puzzle video games to challenge all sorts of minds. With a lot of our games focusing on all kinds of audiences, you can find puzzles video games especially for kids, so they can work out their brain at a young age. Our video games are also known for being a fun experience, so anyone that truly wants to enjoy a puzzle in their spare time, they can do so by playing one of our games. These games are designed for the casual player that doesn’t have a lot of time on their hands. A1 Puzzles has a great number of amazing titles that are not only about solving puzzles but also have a great narrative and story behind it. While you explore and solve any mysteries of the narrative, you can enjoy the puzzles you have to solve. Mobile gaming has been evolving at an unstoppable pace, little by little game developers have been creating a place for themselves among the multitude of players around the world that now are fans of their games. Puzzlegamesenjoy much more success on smart devices than elsewhere. The offer of games and the demand is very high and thanks to the technological advances we are getting more and more innovative games whose goal is to give the player hours of fun playing with their mobile. In this post we take a look at what you can expect when you download Daze for your Android device. Daze is a vibrant game that is full of innovation. It is considered a masterpiece of mobile games that is fun filled. The game is designed to take advantage of the most advanced technologies for mobile devices. Daze is a great example of what should be an innovative game and a great success coming to ensure many hours of fun and that will make you think very carefully what step you should take next. With a simple design, easy mechanics and amazing graphics, right from the start Daze immerses the player into their world for a rewarding experience. 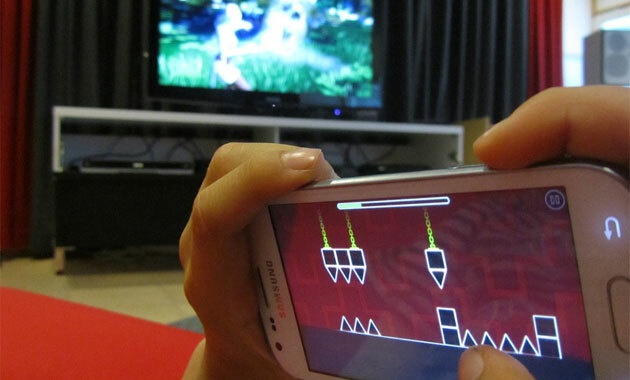 For more than its 90 levels the game requires many different interactions to be performed by the user, making them move the device, singing and even shaking the mobile to complete a level. This is achieved because the game requires all components of the device (gyroscope, microphone and camera) to beat the game. It is also noteworthy that Daze offers a unique experience that not only will open a new point of view about the possibilities of your Android device, it will also help you understand a little more how it works and what are all the features that you may have not used otherwise. Definitely a game that deserves to be tested by everyone as it has everything, making you think as you have fun and earn rewards. An old game that combines puzzle and RPG elements in its story. It is a game with great graphics and the basic characteristics of Match 3/4, in which you have to match balls of the same color on a game board. It’s the second game of the saga of arcade games of Lemmings adapted by SONY for smartphones.It has characteristics of the first game in which you have to complete certain stages or levels in a very dynamic and fun world. The art and graphics are simple but charming and the main difference is that you control the lemmings individually instead of in a group. Undoubtedly one of the games with the best graphics and sound quality. It has an excellent gameplay and a dynamic very similar to the game Portal. The game is a puzzle in which you must connect certain devices to generate doors in order to advance to the next levels. Another classic game adapted to smartphones, highly recommended for young people and fans of the original. In the game you must play with your animated character and complete certain riddles in the fun and dynamic world, filled with many fun and different challenges. No matter which game on this list you choose, all of them will guarantee you spend many hours enjoying every challenge they present to you as well as their rewards. Something the age of technology gave us is the possibility to instantly connect with our friends and family. Once upon a time doing this was very difficult and complicated, but currently and with Wi-Fi networks or Bluetooth, it became easier and accessible for all. And mobile games are not left behind since the innovation of these last years have placed this industry at the top of the gaming field. That’s why we’ve created a list of games where using your mind and your skills against your teammates or friends, is fundamental. You have the chance to test some of your abilities, like solving riddles or finding a correct answer with your friends. All this and much more is already possible in mobile games and it encourages the interaction between people who are in different countries or that can’t see each other sometimes. Maze King is a wonderful enigma, difficult to solve. The bigger the maze, the more challenging it is. It’s a great game to show your resolution skills in front of your friends and family. You can play in the stage mode to get the game and then go to the multiplayer mode to go up against a friend, where you will get the opportunity to test everything learned and spend hours having fun together. A brutal game which requires a lot of logic logic, it is very hard to find games with so much challenges today. It is also perfect to share with friends. You can always try the different modalities that it offers and be amazed by how much fun it can be. Skillz-Logical Brain is a great way to train yourself mentally, but it’s even better to play against friends. The game has a variety of options for you to choose from or you can play a random game. Start at the first level, selecting a friend with whom you want to play and once you are logged into Google (Android) everything else is to show your skills in a variety of puzzles that test your memory, reflections, accuracy and speed. QuizUp is one of the quiz games in the Google Play store and features a wide variety of topics. You can choose between business, education, history and science and you see who knows more about sports, games, television and music among your group of friends and family. The key is to respond quickly and correctly in a round of questions. Level up as you win in this battle of intelligence. The offer of mobile intelligence games is growing exponentially.Every day they create better games for the market and the competition is strong. 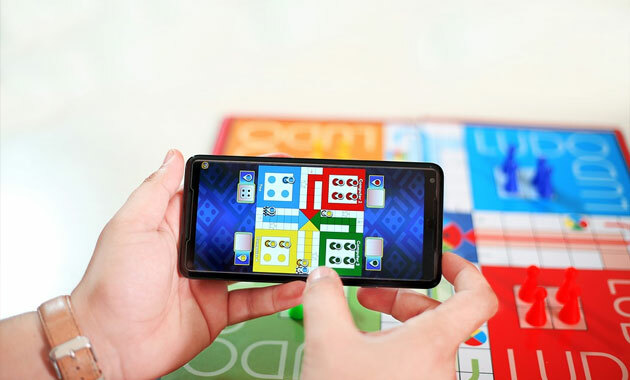 The Google store will always be updated and you will never get bored with the puzzle games you can share with your friends and family. You’ll always be able to find a great game that connects you with you loved ones, even if you’re not in the same country. There are puzzle games that make our moments of boredom go away and change that boredom into lots of fun from the moment we start the game. These games are created by companies that want their games to be ranked higher in reviews. While gamers easily forget about older games and tend to seek out the latest and best there is, some games may fade away. It’s always good to take a step back and look at some of the most memorable puzzle games we so enjoyed. These games are usually from different consoles Many of these came from companies such as Nintendo who became famous due to the many puzzle games they have created through the years. Today, we can find these games or similar versions in many platforms such as Android, IOS, PC and even PlayStation and Xbox. It is a series of games in which you perform different missions or levels and you have to connect two portals in order to progress and beat the game. The game is developed by Valve and is highly recommended. This is a classic game based on a pixel puzzle of the 80s in which you have to follow and complete a series of missions, thefts, split buildings and many other interesting things. This is a game of cells, where you have toconnect objects following a specific order. It’s a lot of fun and if you love puzzle games, you’ve got to give it a shot! You must connect the colors in a specific order which makes it a lot of fun and very interesting. 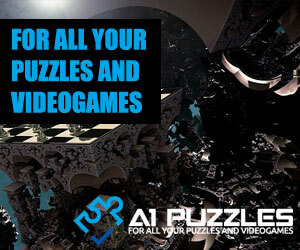 These games are very interesting and everyone who knows games should know about these puzzle games. They are guaranteed to have you spending hours on end trying to beat the clock and set a new high score! With the good reception of several games in VR there is always an opportunity to highlight which one could be the best of the puzzle genre. Through the past couple of years, the revolution of virtual reality has given to us a variety of titles to enjoy with our favorite virtual reality games. Although, many of them haven’t had the popularity needed to be acclaimed, it would also be wrong not to feature them on a list. Are you ready to play some of the best VR puzzle games? The Talos Principle VR is a virtual reality version of the game created by Croteam and it has been acclaimed by players and by many critics. It is a spectacular first-person puzzle game that requires concepts and philosophical debates to complement a sci-fi background. The game managed to please the majority of the public and got good reviews in the gaming world. It’s also very popular across social networks such as YouTube and Twitter, and getting good sales. Thanks to Tetsuya Mizuguchi and the same studio that brought the award-winning Rez infinite, Tetris Effect is an amazing experience that is able to immerse you in fantastic, completely three-dimensional worlds that move and evolve according to the way you play. From the music, the backgrounds and the sound, to the Tetris pieces, the pulse, the dance, the brightness and the explosion, everything is in perfect sync with the way you are playing the game. Statik, is a game about solving puzzles in a place you do not know, with people you do not recognize and hands that are not entirely yours. Undoubtedly, an unforgettable experience that will become a mystery while you enjoy it and ensure hours and hours of discoveries to each new mission that is presented. You will play Dr. Ingen and his empathetic assistant Edith on an adventure to solve the intricacies of the human mind. In short, 2019 is a great year for games based on virtual reality and these titles show it very well. Game developers know that creating a game that offers fantastic gameplay and puzzles that attract people, the success of the game is assured and millions will play it. Don’t forget any of these titles and make sure to try them out this year. We’ve tried them all out and can highly recommend playing them. They offer fantastic gaming experiences that are challenging and rewarding.